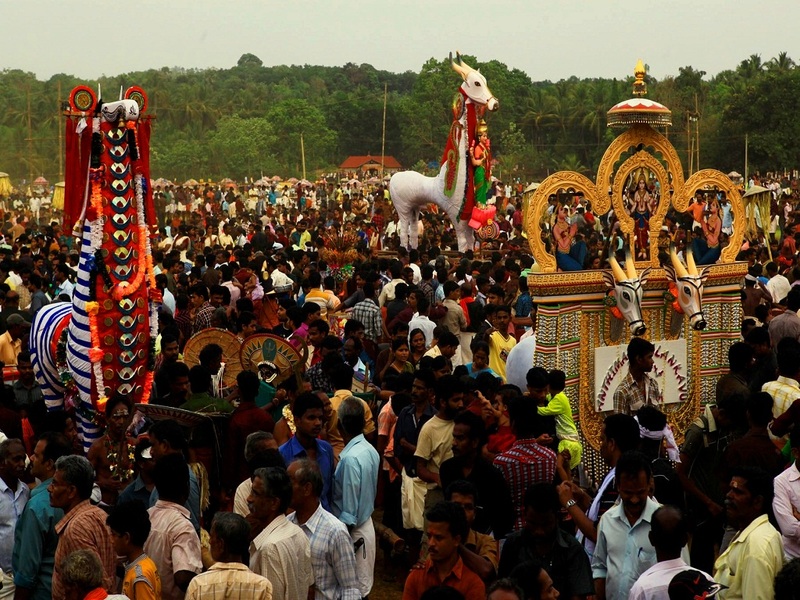 The annual festival of Anthimahakalan Kavu Vela of Anthimahakalan Kavu Temple is dedicated to Lord Shiva. 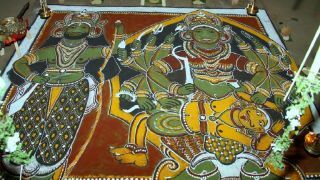 Even though the presiding deity of the temple is Goddess Bhagavathy, the temple is famous for Lord Shiva who is in the form of Anthimahakalan (Kiratha). 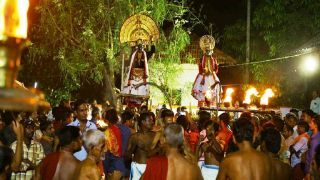 The temple is located at Chelakkara in Thrissur. 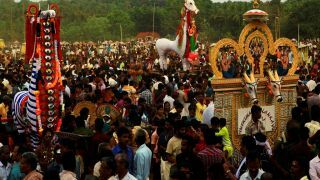 The festival begins on the first Saturday in the Malayalam month of Meenam (Mid March) and ends on the second Saturday in the same month. 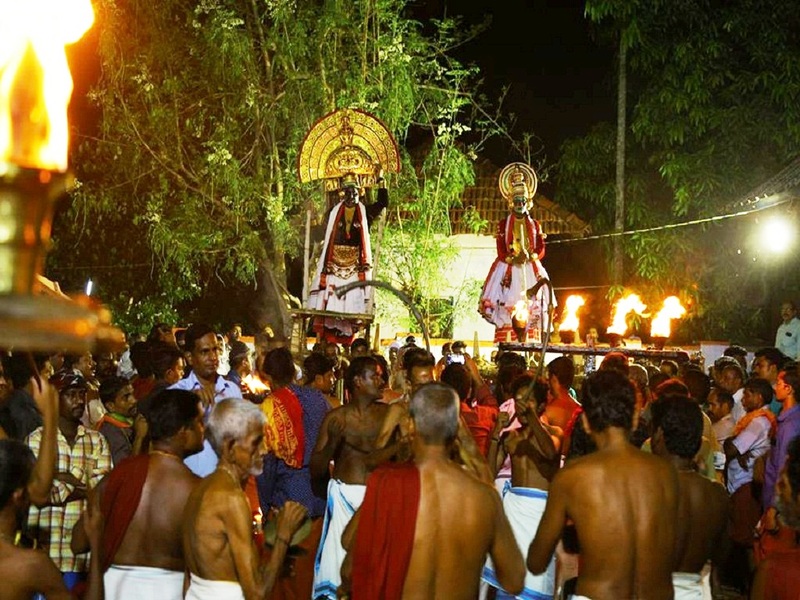 The most important ritual of the Anthimahakalan Kavu is the Kali - Darika debate which is followed by Kaala Vela. 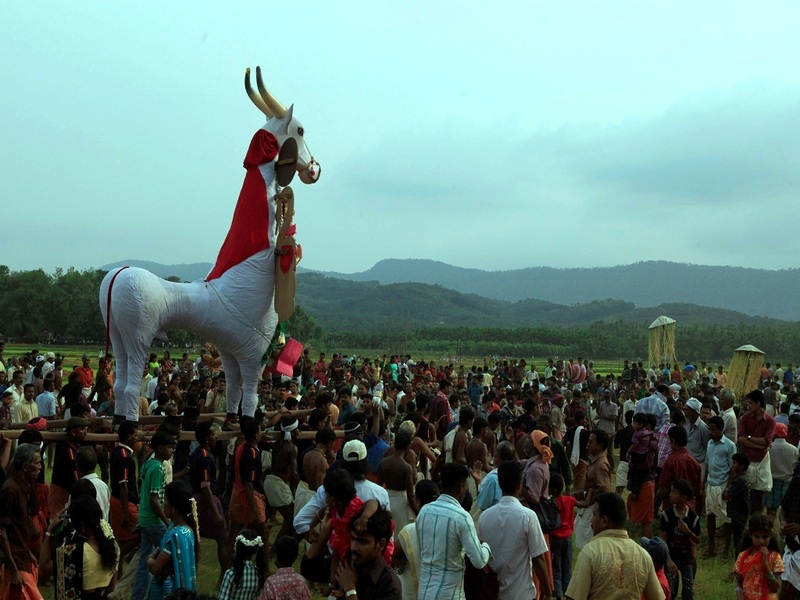 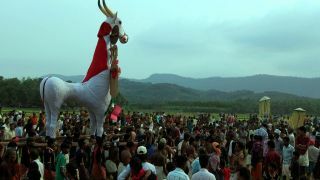 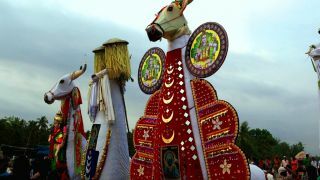 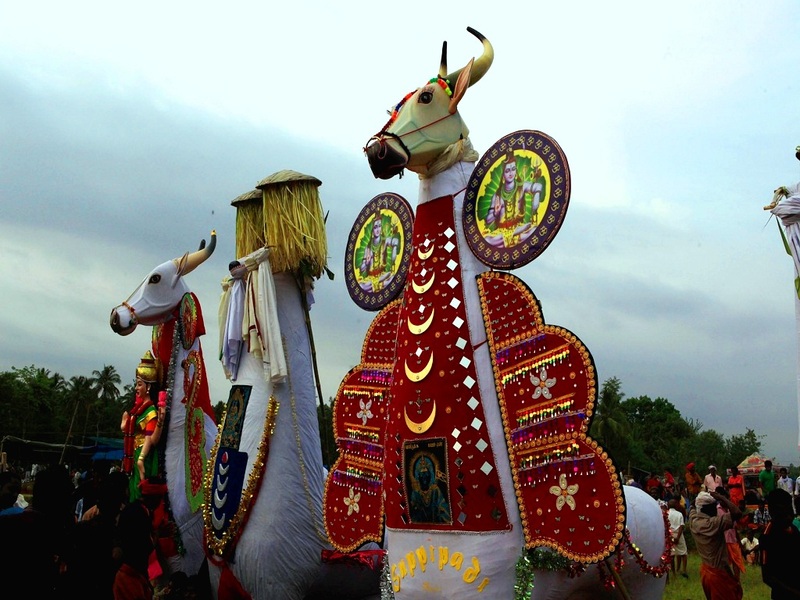 Both the debate and Kaala Vela, the procession of huge effigies of oxen, is conducted in the early morning. 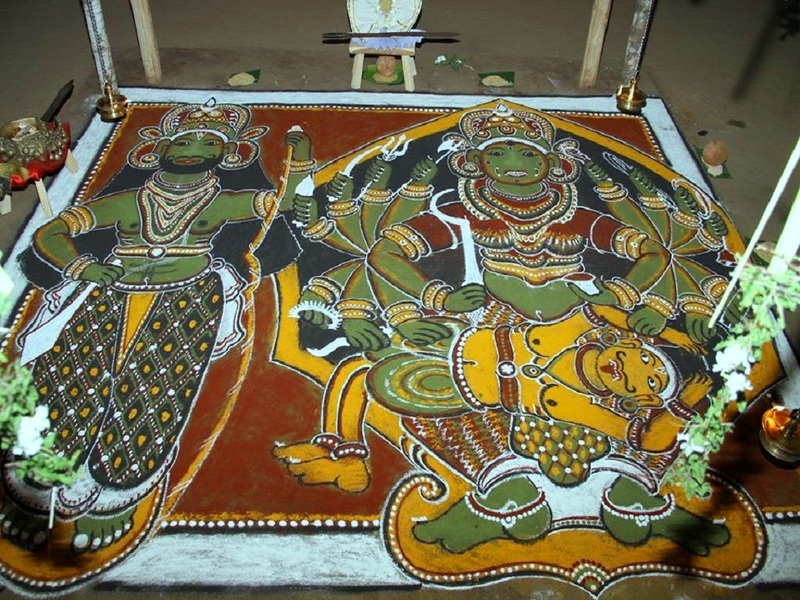 Kalam Pattu is also held during the festival, the figures of Kali, Darika and Koyma will be drawn in the Kalam.